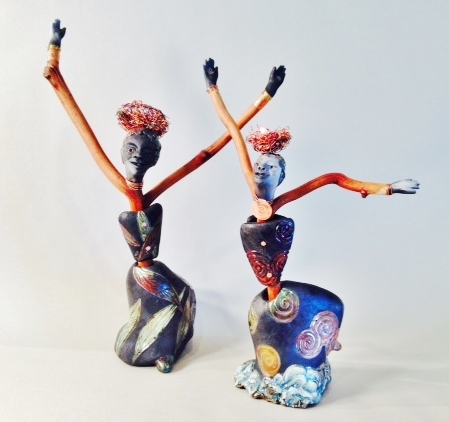 Lorene Senesac will be featuring “Dancing with the Fire,” new raku figures and portals celebrating Spirit. John Weston gets his greatest satisfaction from using highly figured hardwoods grown in Southern Oregon. 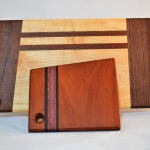 Turned bowls, trays, benches, boxes, cutting boards and more will be displayed. 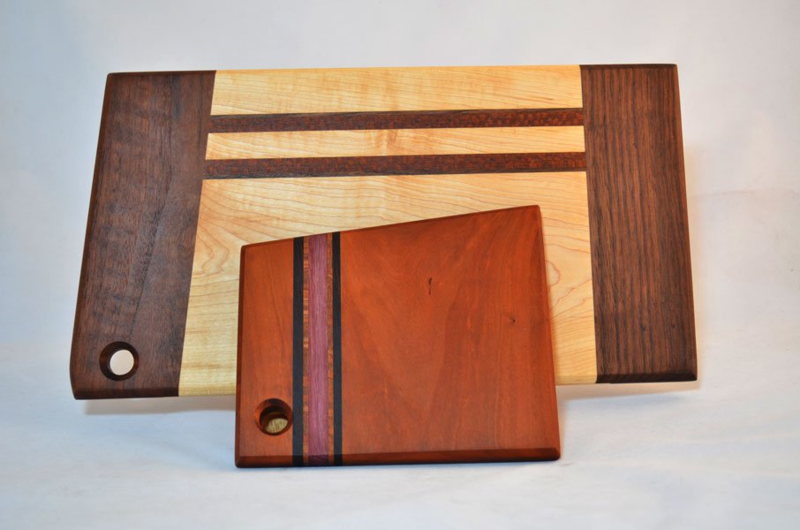 Cutting boards by John Weston.